Carl Henry Vogt, known professionally as Louis Calhern, was an American stage and screen actor. For portraying Oliver Wendell Holmes in the film The Magnificent Yankee (1950), he was nominated for the Academy Award for Best Actor. John Richard Basehart was an American actor. He starred as Admiral Harriman Nelson in the television science fiction-drama Voyage to the Bottom of the Sea (1964–68). He also portrayed Wilton Knight in the series Knight Rider (1982–86). Harry Morgan was an American actor and director whose television and film career spanned six decades. 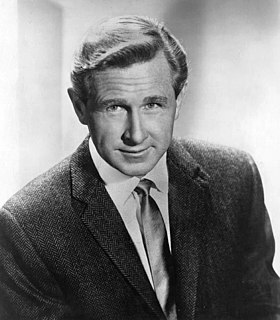 Morgan's major roles included Pete Porter in both December Bride (1954–1959) and Pete and Gladys (1960–1962); Officer Bill Gannon on Dragnet (1967–1970); Amos Coogan on Hec Ramsey (1972–1974); and his starring role as Colonel Sherman T. Potter in M*A*S*H (1975–1983) and AfterMASH (1983–1984). 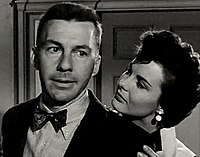 Morgan appeared in more than 100 films. E. G. Marshall was an American actor, best known for his television roles as the lawyer Lawrence Preston on The Defenders in the 1960s and as neurosurgeon David Craig on The Bold Ones: The New Doctors in the 1970s. Among his film roles he is perhaps best known as the unflappable, conscientious "Juror #4" in Sidney Lumet's courtroom drama 12 Angry Men (1957). He also played the President of the United States in Superman II (1980), Superman II: The Richard Donner Cut (2006) and his photo appears in the TV version of Superman (1978). Marshall was also known as the host of the radio drama series, CBS Radio Mystery Theater (1974–82). Stephen McNally was an American actor remembered mostly for his appearances in many Westerns and action films. He often played hard-hearted characters or villains. Arthur Sofield Franz was an American B-movie and television actor, whose most notable feature film role was as Lieutenant, Junior Grade, H. Paynter Jr. in The Caine Mutiny (1954). Warner Anderson was an American actor.